In post 20594, davesaz wrote: Strongly disagree with letting wizards target creepers. Don't need more random holes in the landscape even if they are outside claimed areas. Fair. I honestly didn't notice that wizards were included in that config, I just saw a situation where summoned minions would refuse to attack Creepers and understood as a player I would go "what gives spell-buddy?!" Not particularly. Crystal ore (and Crystal flowers) are incredibly common; I didn't touch those numbers at all. As for trading for spells/better wands, mob combat and looting achieves the same end, and with other dimensions both of those things are now easier and less invasive. If you feel that strongly about it, I'd counter that the numbers were a bit high as they were: towers appeared roughly every biome, which I don't think is intended, and I think structures like that (even if important for progression) should be a joy to find, not a predictable find. Regardless, I can drop it down to 10 or 11 - e.g. make them more common but not as common as they were. Does that work? I like Undergarden too, I've got it enabled. And I agree on Visceral Heap, gross. But I'll fight you on Corrupted Sands. Soul Sand in Vanilla is too uncommon, IMO, and the number of uses for it in a magic modpack cannot be understated. We really need a good reliable source for it, en masse, especially if we're adding other things to the Nether which can choke out Soul Sand generation. I'm not seeing a config for individual BoP "features", but I can tell you I've disabled all the biomes I could find with Quicksand. Poison is another thing entirely; too many of the more interested biomes (especially the more interesting Swamp/Forest biomes) have those, and we want some variety in our world for many reasons. I've changed my opinion on some of these after looking at the BoP wiki, and I'll update the Sheet with the biomes I included in the release configs. Hmmm. I haven't added COFH, but I will do that today and look into buffing Vanilla ore sizes. FTR, according to comments Large Veins's build MC version is 1.12 and it does not work in 1.12.2, which I think is ridiculous but it means if our intent was to buff oregen we need another way to do it. I can do it also? Up to you, or if there's some hoop I'd have to jump through that you've already bypassed, I can upload to Drive and you take it to Curse, either way. Re: BoP features -- how I do it is create a single player world, customized BoP, 3rd page turn off quicksand/poison ivy/poison pools/nether hives. Upload world and use as the server world. There are also interesting options on page 1 of that customize setting, like clustering biomes in termp/rainfall zones etc. Personal preference is not to use large. YMMV. Uploading a SP world also lets you take a peek to make sure you're not spawning on a 1 chunk island in ocean. The features can also be configured in the biomes/defaults directory inside the individual biome variants. There are more buttons to press that way but you can be more selective. I kinda like the biomes quicksand generates in, given desert has it IIRC. Nuking 'em won't be optimal lol. There is a project called "Scumpack" on Curse. If ETL can remember her userid/password then it's straightforward to add you to the project. If you don't mind it not being called Scumpack then a new project is fine I guess. PEDIT: I can as you say Arch and upload an SP world or I can use the generator string I found above to do it worldwide to a new server world; I don't think it rly matters which way we go, but from my PoV it takes longer to start and restart SP worlds and upload those than it does to shut down server, delete world, try new world, repeat, etc. so I'd prefer to do this all server-side. It also involves less uploading/downloading which just sounds safer to me. If Quicksand is in Vanilla Deserts (I forgot that), I definitely want it gone worldwide. Really it's only doing Vanilla, Thermal Foundation's ores/clathretes, and that's it. But I'm turning off anything that would add duplicate Copper/Tin/etc. so I need to rip apart the world and see what actually does that. I think it's mainly Embers I need to worry about, but we shall see. There’s copper and tin now? Damn, that is a lot of ore. Is that Thaum Cinnabar I see as well? Or am I finally going blind? Nope! Thaumcraft is in this pack, also! "explosions and hostile mobs in spawn area will be disabled, players won't be able to attack each other in spawn area"
set the "spawn area" mentioned above to 16 - must remember to set spawn protection to 0 in server.properties! changed generation to "mimic surface world"
Emerald Ore - cluster size/#: 2/3-8 (from 1/3-6) +100-167% Fun Fact: Emerald generates with even more randomness than other ores! Might need to look at Aluminum oregen, but for now it's not an issue. Nether chunkloading affects lava gathering and mob farms in nether, might want to turn that back on. Which mod is the one that puts basalt around lava lakes in the lower Y levels? I like that one to be on. Gonna add IRC connection? It's lonely on IRC. I don’t think we have a single lava pump or use for a single lava pump in the pack; there’s no tech. But also, what Klaz said. Use the actual chunkloaders we have? Several discord mods are available. Is there an existing channel for ms minecraft? That would be very handy btw. I don't want facebook messenger on my phone. I'm talking to Chevre now. He's the admin of the MS Discord. He's setting up 2 text channels there for us under "special topics"; one for Vanilla chat and discussion and one for Modded. Once I figure out how to configure this thing for SP9 I'll toss together the mini-server-pack for Vanilla. ETL, you wanted Morpheus, Nether Portal Fix, and if we can have Discord you'd want that? Would anybody be opposed? Please do not download the mods! A much easier, streamlined, single-download pack will be available. I wasn't going to make it available until everything was worked out, however. Patience. oic, so just ignore the modded server for now? AS IN THE AETHER MOD? THE NUMBER ONE MINECRAFT MOD EVER THAT WAS SO PIPULAR UT REMAINED THE NUMBER ONE MINECRAFTFORUM THRESD ROR UEARS AFTER IT STOPPED DEVELOPMENT?! Profii -- soon. I can't promise when M will upload but I'm not making plans to do other things. 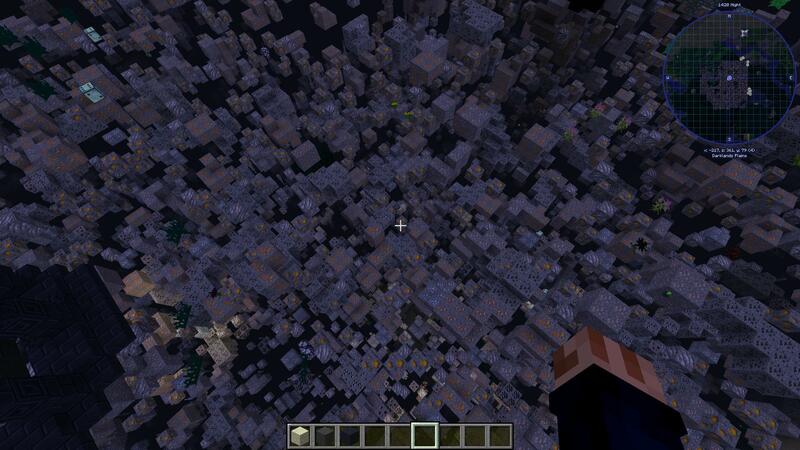 Yeah, I'll be around late tonight and uploading server files/looking at our spawn if server doesn't explode. The Aether Legacy mod we have is a mod by those who liked the old Aether, as in not Aether II which is in very early development. Aether II took a much more RPG-style approach to the mod, IIRC, and Aether Legacy is more about the open-world-opposite-of-the-Nether idea... and I feel like that's more in our wheelhouse (and my wheelhouse), not to mention I don't want to use an early alpha build of something like Aether II, no-thank-you. In post 20616, Maestro wrote: Please do not download the mods! A much easier, streamlined, single-download pack will be available. I wasn't going to make it available until everything was worked out, however. Patience. GTKAFuzzy! Come ask me questions. Upload for pack download is going on now; if server doesn't explode I'll update the link on the Sheet. The link has been posted to the google sheet in Maestro's post, use the link at the top of the RECENT CHANGES tab. We're having issues connecting to the server which are being worked now, but if you want to get a head start you may start your downloads! We'll post another update when the server side is ironed out.